I love your book. Ever since I heard about it I have had this special feeling. I just want to cry. I couldn’t put it down when I started to read it. I am almost done. It’s really beautiful. I can relate to your stories of the good old days. I just wanted to congratulate you on your book. I had no idea this is what your future would hold after retirement. I knew you were a great photographer and now this. What other talents are you hiding from the world? So excited for you! 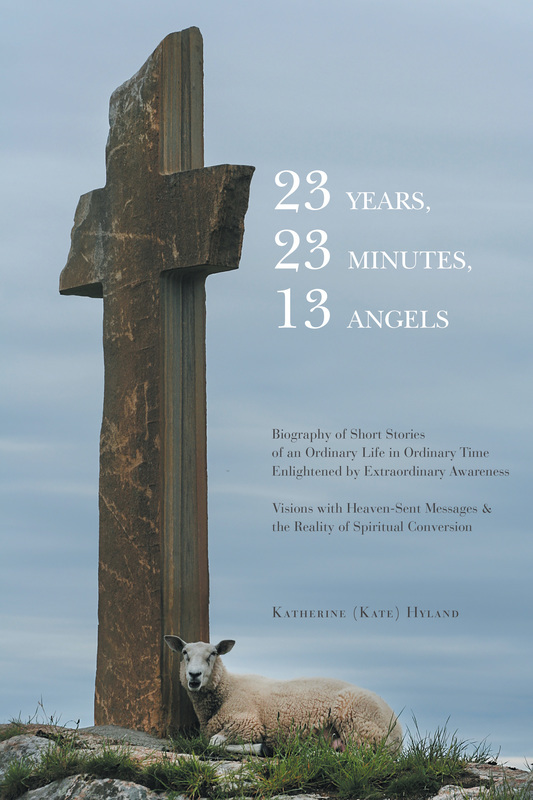 ​I really enjoyed this book Kate. Not only was it a wonderful insight into your challenges that you have had with your health, but also I appreciated your stories involving visions and certain clear, "unspoken" messages. It has made me feel a bit more confident about certain things I have experienced over the years. To see these things in your book was quite reassuring and inspiring. Thank you for daring to share all of these things. Also, your father sounded like a wonderful man. What a blessing he was! ​ Finished your book and it was fantastic. We are kindred spirits for sure. There is so much to share with you about the book. the truth! I loved the editor’s comments! She spoke so much like a school teacher - a mentor! I just know that she's "right on"!!! On my way up to bed - will read a few more words then. Thank you my dear!! Thank you. Xoxo I'm delighted for you & for the world to read this little insight into Gods ability through you! You are doing amazing things and I love the way you embroidered your stories and life experiences with the Word of God. I am certain the Lord will use it to draw others to Himself. You did a great job Kate. Looking forward to hearing of your next endeavour. I know this has taken me a while to send you an email. I have been reading your book. Oh my dear....you are certainly blessed. I have only been able to read a few chapters at a time, because I get so overwhelmed, I cry, I smile. Thank you, my dear girl, for writing such a beautiful book. You certainly have the gift of writing..I suppose I knew that years ago from your beautiful cards and thoughts you send to me. I shall treasure your book forever...as I treasure our friendship. Thank you for inspiring me, yet again, to continue on in this cancer journey...it seems the road never ends some days, but your faith and your words inspire me to keep on going forward. I'm blessed to be cancer-free for 3 years now...I count the days and I spend them in peace and tranquility to know that all is well. Thank you my friend. I only wish that I could give you the encouragement and inspiration that you give to me. I do try and I try in other ways to give back..because in the end, that's all it's about isn't it. ​Kate, you are truly gifted in so many ways. I enjoyed your book so much it was hard to put it down. Wow! I am loving your book! You know, I bought it on the first day that I heard you had it on market and started reading it that day. I read about 35 pages the first night which is a slower rate than I normally read but that is because I would read a few paragraphs and then contemplate what you have said. Like you said, I am really getting to know you in detail through your words. Also, you and I being the same age, and having a lot of the same experiences as children growing up in the same era it is wonderful to reminisce and think about those times. Your style of writing is very descriptive and allows for great picture making in my mind. I was just thinking today that it would be great to have your book available on audible or some other format. I don't even know how you would go about doing that and if it is possible at all. I can't wait to learn more about your visions which is where I am at right now. Another thing I want to tell you is I am very similar to you in my spiritual beliefs. I am just amazed at the things that you say how they mirror my thinking and beliefs about God and Jesus and the universe and how we are all related. I truly believe God puts people in our lives at certain times for certain reasons and I truly believe God put me at that table on the cruise ship just to meet you. Kate you are a remarkable woman and have a lot of courage to put all of those things in words for all to learn and to spread the great truths of the universe.